Low-dose bevacizumab treatment for retinopathy of prematurity(ROP)showed positive retinal structural outcome, although many eyes received additional treatment, according to a study published in the journal Opthalmology. 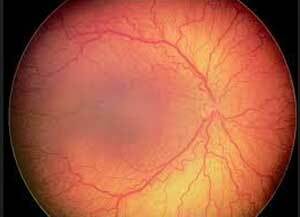 Retinopathy of prematurity (ROP) is a potentially blinding disease caused by abnormal development of retinal blood vessels in premature infants. Intravitreal bevacizumab is increasingly used to treat severe retinopathy of prematurity (ROP), but it enters the bloodstream, and there is concern that it may alter the development of other organs. A masked, multicentered, dose de-escalation study was conducted which included a total of 61 premature infants with type 1 retinopathy of prematurity. The researchers randomly selected the study eye if type 1 ROP was bilateral at enrollment. In the study eye, bevacizumab intravitreal injections were given at de-escalating doses of 0.25 mg, 0.125 mg, 0.063 mg, or 0.031 mg; if needed, fellow eyes received 1 dose level higher: 0.625 mg, 0.25 mg, 0.125 mg, or 0.063 mg, respectively. After 4 weeks, additional treatment was at the discretion of the investigator. The primary outcome was early and late ROP recurrences, additional treatments, and structural outcomes after 6 months. The results showed that out of 61 study eyes, 25 (41%) received additional treatment: 3 (5%)for early failure (within 4 weeks), 11 (18%)for late recurrence of ROP (after 4 weeks), and 11 (18%) for persistent avascular retina. Re-treatment for early failure or late recurrence occurred in 2 of 11 eyes (18%) treated with 0.25 mg, 4 of 16 eyes (25%) treated with 0.125 mg, 8 of 24 eyes (33%) treated with 0.063 mg, and 0 (0%) of 10 eyes treated with 0.031 mg. By 6 months corrected age, 56 of 61 study eyes had regression of ROP with normal posterior poles, 1 study eye had developed a Stage 5 retinal detachment, and 4 infants had died of pre-existing medical conditions. The study concluded that though many eyes received additional treatment, retinal structural outcomes are improved after low-dose bevacizumab treatment for ROP.